The way before you is treacherous, and there is no end in sight. 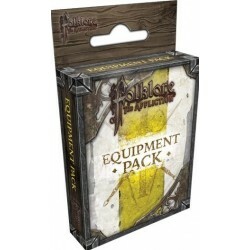 You’d be a fool to think you could last more than a day on the road without your Equipment Pack. 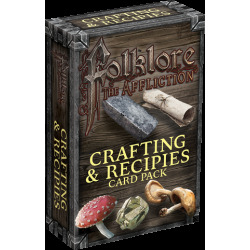 Inside this box is a set of adventuring gear specifically crafted for you; contains 96 keyword specific Items & Companions for Folklore: The Affliction, tailored for someone with your unique skills. Tread carefully, friend. Tracker Replacement wheel dials for keeping track of vita and power points via friction based 1-100 rotating number wheels. Reverse sides of each card can be used to track Foe Vita instead of characters. 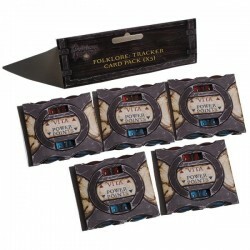 Includes 5 trackers. 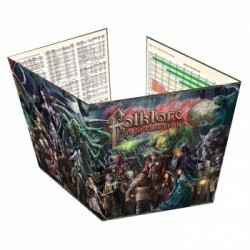 The Folklore Storyteller screen is a promotional item not part of the original kickstarter campaign. 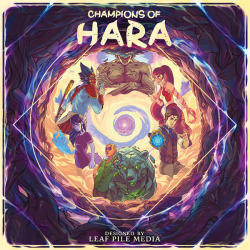 It contains 4 panels showcasing the characters, creatures and afflictions from the game in a grim montage on the front facing panels, whilst the inner panels contain percentile roll tables from the Adventure creation kit, if the story narrator wishes to spontaneously produce some minor content for the other players outside of the scripted story structure. 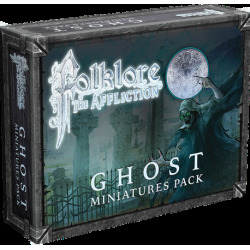 Includes ghost miniature versions of player characters, as well as the Wraith affliction miniatures and corresponding affliction card. 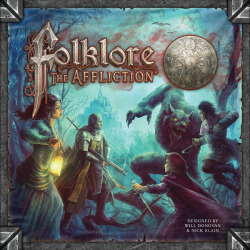 Embark on a cooperative epic adventure that is Folklore the Affliction. Find and destroy the source of the evil spreading its claws into the heart of the land, decimating its people and resources. 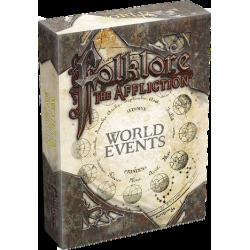 Free the denizens from the scourge of vampirism and lycanthropy and expand your power and abilities. Are you a survivor, or will you play as your ghost? Will you fall to the bloodlust or the taint of lycanthropy yourself?